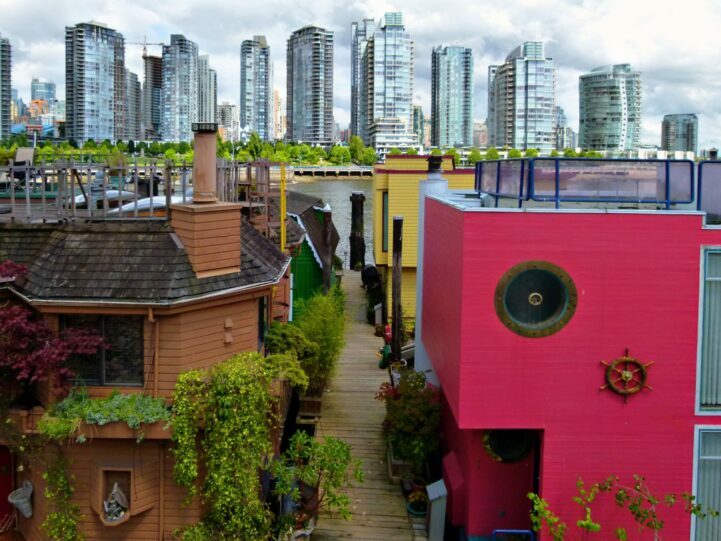 How Much Value Does Vancouver Real Estate Produce Anyway? Vancouver real estate fetches a premium largely due to the assumption that business in the region is booming. Unfortunately, there aren’t a lot of data points to figure out if a region is experiencing growth and how that impacts the direction of real estate prices. So we thought we’d put together an experimental indicator to track this using Gross Domestic Product (GDP) per square kilometer. GDP and real estate values are tightly intertwined, so measuring the direction of the two combined may help to give some insight to where prices are heading. Why is Vancouver more valuable than Squamish? The business that’s being done on the land. Typically land is only as valuable as the resources on it, so measuring the growth of output should yield some insights on the direction of raw pricing. Quantitative finance professor Nuridding Ikromov observed that a real estate crash is linked to a 4% decline in GDP. Whether GDP crashes before real estate, or real estate crashes before GDP is a bit of a mystery. But as long as both are moving in the same direction we can at least conclude both measures support (or don’t support) the market. At the very least, we can compare it to cities with similar output to see how out of whack, or undervalued prices may be. The GDP per square kilometre in Vancouver showed solid growth. Over the past 10 years, an average of $39.3 million of GDP was generated per square kilometer. In 2016, we estimate this number to be around $45.7 million per square kilometer, a 3.2% increase from the year prior. To give it some context, Toronto averaged $44 million per square kilometer over the past 10 years, and $51.46 million last year. Vancouver is growing in economic output on a kilometer-by-kilometer basis, but it’s a little steeper than Toronto. Average of GDP by square kilometer of land. Source: Statistics Canada, City of Vancouver, and Better Dwelling Calculations. Since we know from Professor Ikromov’s work that GDP and land values are connected, a drop in GDP estimates can be an important future indicator. If regional GDP growth stalls, and prices continue to head north – it would be highly questionable growth. Afterall, how would people that actually work in the city continue to pay higher premiums? Likewise, the opposite might be true. If the output of land is growing, the amount of money entering the city may be able to support prices moving higher. Looking for a change in direction or flatlining of GDP estimates, might be the next early warning indicator. Previous post: Shady Marketing, or Does Vancouver Have 357 Foreclosed Homes For Sale? But this would imply that land values should increase at the same rate as the GDP per square kilometer. If land prices greatly exceed the GDP per square kilometer, where is the money coming from? This would imply that the area is getting proportionately poorer, s the GDP growth is not sustaining the increase in land value.